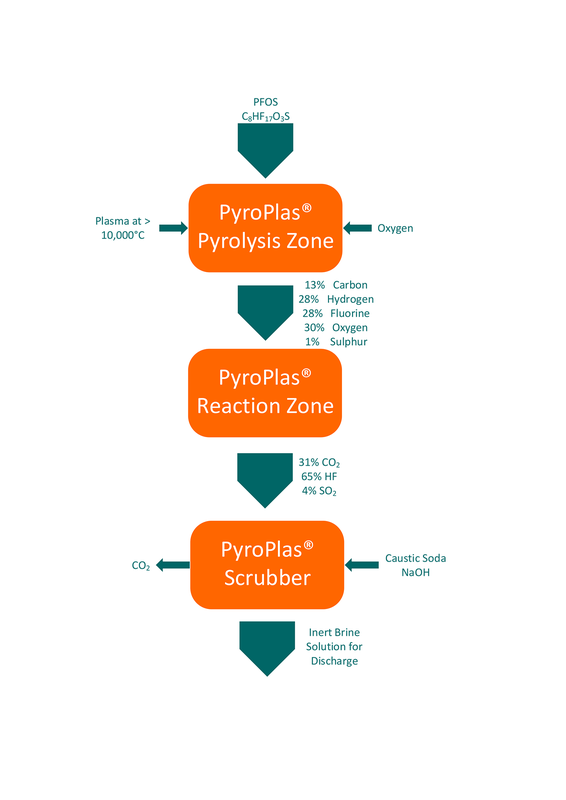 PyroPlas® is a Plasma Arc Destruction process, which destroys any organic compound via high temperature pyrolysis. The intense, flameless conditions degrade all molecules into their atomic constituents. PyroPlas® incorporates the PyroInject Waste injection system. This is an enhanced ‘in flight’ injection technique where wastes are optimally injected into the plasma stream. This feature ensures the PyroPlas® is always able to meet required Destruction Removal Efficiencies (DRE) greater than 99.99.%. A DRE of 99.9999% is commonly achieved. 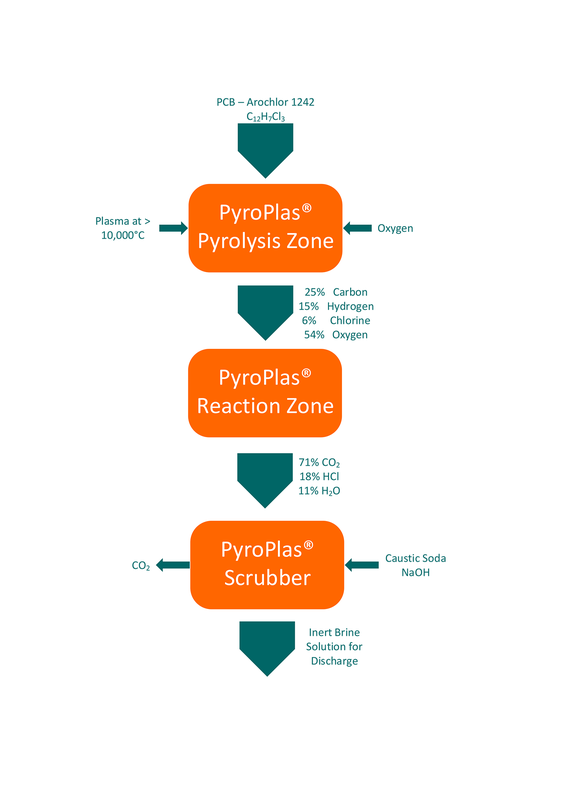 PyroPlas® technology utilises pyrolysis to degrade wastes to its atomic constituents. There is no combustion process involved. The PyroPlas® torch passes a high energy direct current into an argon gas stream which creates a plasma zone. 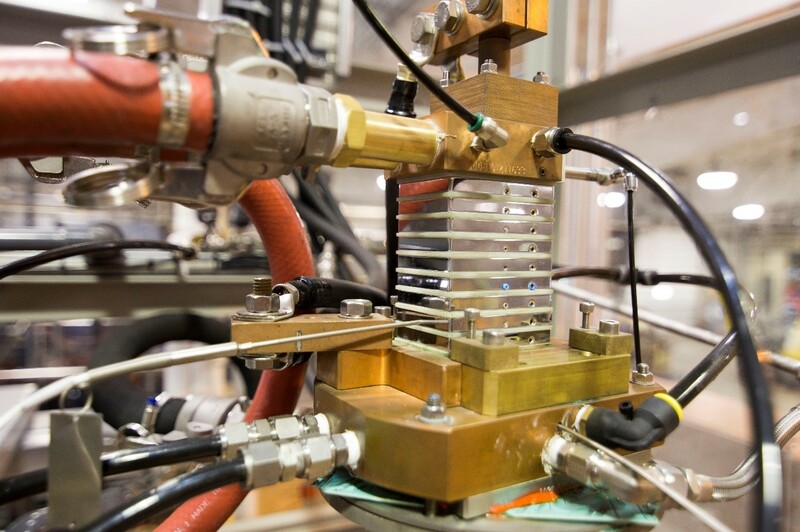 This high energy plasma zone reaches a temperature in excess of 10,000°C. Waste is injected into this plasma zone where the waste is pyrolysed into its constituent atoms. 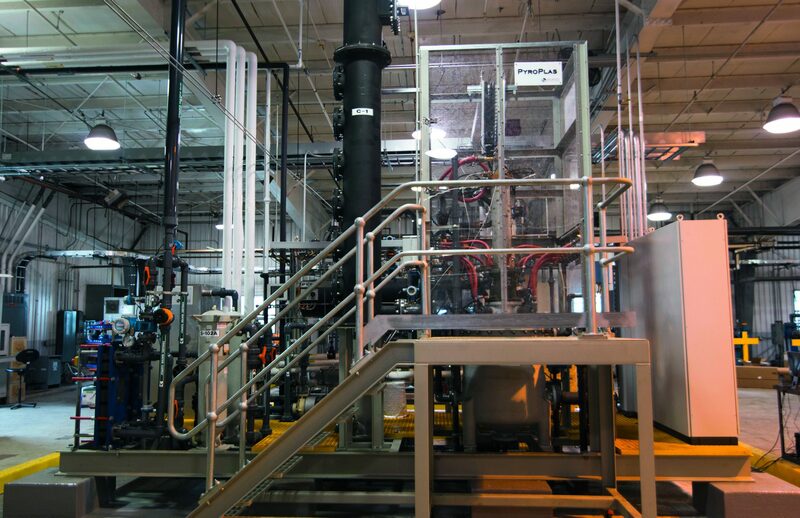 For this reason, the PyroPlas® technology destroys high concentration, pure and complex waste streams with minimal risk of hazardous by-product (such as dioxins or furans) formation. Due to the continuous injection of waste directly into the plasma zone, the process is inherently protected against any chance of environmental release, even in the case of situations such as power failure. Designed to operate continuously and with a high level of automation, the PyroPlas® delivers safe and consistent destruction efficiencies. With this quality of destruction and simple consistent operation, the PyroPlas® meets the standards of Best Available Techniques (BAT) and Best Environmental Practise as required by the Stockholm Convention, Montreal Protocol and Basel Convention for the destruction of Persistent Organic Pollutant (POPs) and Ozone Depleting Substances (ODSs). PyroPlas® plants are controlled by a fully integrated Programmable Logic Control (PLC) and Human Machine Interface (HMI) system which automatically controls the start-up, continuous operation and shut-down of the process. The PLC provides active monitoring and immediate automated responses in the event of a process parameter deviating from its operating limits. Being a modern system the PyroPlas® operating interface is able to be linked to remote interfaces allowing operators and management to continuously monitor PyroPlas® status. 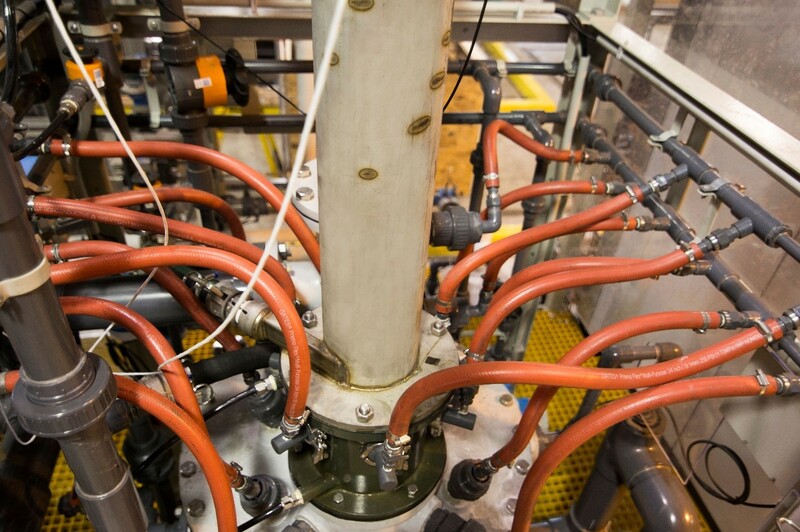 The torch configuration and the PyroInject Waste Injection system is the heart of the PyroPlas® technology. In circumstances where greater throughput capacity is required, we have the option of using PyroPlas® II and PyroPlas® III. These systems contain multiple torch and waste injection modules. The PyroPlas® versions have significantly higher throughput capacities without compromising Destruction Efficiency.